Watch ’em grow wicked big. 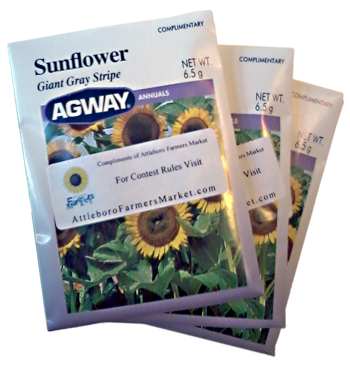 In September we will have a contest for the biggest sunflower grown this summer. The person with the biggest sunflower will be crowned “2012 AFM Sunflower Champion”. We may even have prizes. More information will be coming. 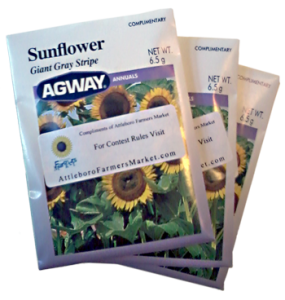 So in the meantime get those sunflower seeds at the Memorial Day Parade, take ’em home and grow ’em big. Take pictures of your sunflowers as they grow and share them with us on Facebook or on this site (special form to upload your photos will be available soon). great idea!!! just planted ours from the parade!!! 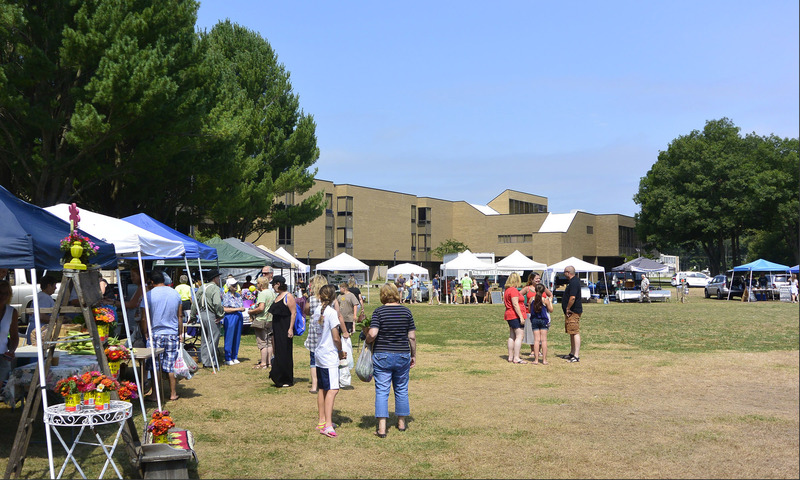 Pingback: 2012 Opening Day | Attleboro Farmers Market, Inc.